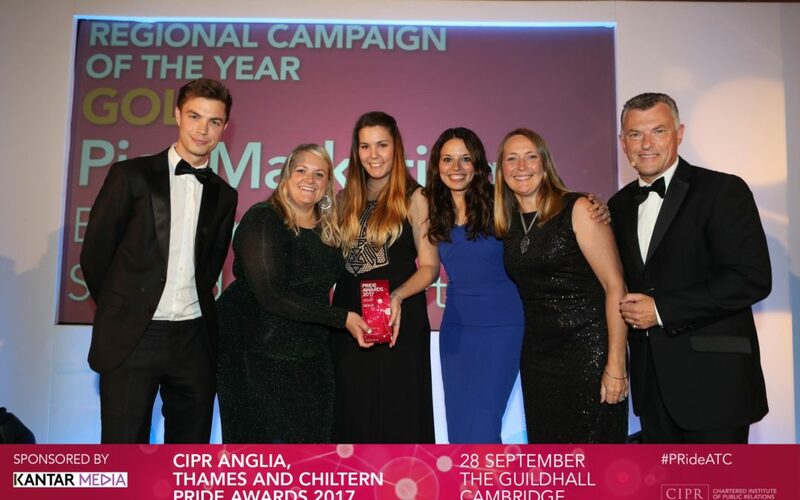 Pier PR & Marketing picked up the gold award in the “Regional Campaign of the Year” category for its “Sourced Locally Fortnight” work with East of England Co-op. Judges praised Pier for a good entry with a clear strategy which achieved impressive results. The campaign’s central message was to promote the importance of shopping locally and to increase sales of Sourced Locally products in East of England Co-op stores. This in turn helps to bring additional money into the local economy, creating and safeguarding local jobs, whilst reducing food miles. Pier also reached the finals with six other shortlists, including Outstanding Agency of the Year. The region’s top talent in public relations were announced on 28th September 2017 at the CIPR Anglia Thames & Chiltern PRide Awards at The Guildhall, Cambridge. Pier was set up in 2008 to offer superb strategic consultancy, inspired creative solutions and original PR and marketing campaigns that meet and exceed client’s expectations. Clients include East of England Co-op, ScottishPower Renewables, Kerry Foods and Fenn Wright.